The HUST Board held an informal meeting with the business group led by Jon Hale last Thursday. The Board were able to find out more information about the members of the group, and engage in a question and answer session on the outline plans presented. The plans would give HUST an important role in a new club that would ultimately lead to HUST being majority shareholders. It must be stressed that these plans will only come into effect if the current club ceases to exist, and the continued existence of Hereford United (1939) Ltd rests solely in the hands of majority owner Tommy Agombar. The Board of HUST again call on Mr Agombar to make good on his promises to pay the outstanding staff and player wages at Edgar Street, the debts to the Council, and the outstanding winding up petitions. The latest of these promises was made to staff last week, with cheques promised to be sent out yesterday (Monday, June 30th). The Board also calls on Mr Agombar to make a clear public statement of his intentions without further delay. To find out the outcome of yesterday's Court hearing from the officials of another club is absolutely deplorable, with the flow of information coming from Edgar Street all but ceased. Bulls youngster Jarrod Bowen has signed for Hull City on a three year deal. The move is understood to have happened after a last-minute legal wrangle over the player's contract was thrown out, with the Bulls being in clear breach of the deal. Bowen scored his first goal for the Bulls on Monday April 21st against Alfreton. "In the few games I had, I thought I'd have chances and I thought I'm not going to score," Bowen told BBC Hereford and Worcester. "It was my aim to try and score a goal. "Luckily I did that at Edgar Street in front of the Meadow End. "It was a good day." Martin Watson, vice-chairman of HUST, has spoken to BBC Hereford and Worcester about Hereford United going into a CVA. At the High Court earlier today, a seven day adjournment of a winding up order brought by former manager Martin Foyle was agreed after it emerged that the club was considering a payment plan. "For any proposal it's 75% of the value of the creditors, not the individual people or companies, but the total value to agree to it," said Watson. "The agreement would then become a legally binding document. "But the one thing that is an issue for the football club is that league rules state that 100% of creditors must be paid back. "The figure brought up by Tommy Agombar is £1.3M. If you get about £325K of that turning it down, then there isn't going to be an agreement. "HMRC are owed at least £100K, Martin Foyle's figure is around £150K, other football creditors are around £150K so you are looking at a agreement being quite difficult." Former Bull Michael Rankine has signed for Gateshead for the coming season. He links up with former York boss Gary Mills for a third time, with Mills telling the club's official site: "Rankine is a vastly experienced player who played for me at York and Alfreton, he knows what I'm about and what I expect from him. "He's a powerful lad, a real handful, and someone who will give us something a bit different. He's a player I've always liked, and one that has done well for me in the past. Along with Jon Shaw he's another proven player that can play down the middle. "Central defenders certainly know they have been in a game when they face him and I'm delighted to get the chance to work with him for a third time." Grays Athletic owner Andy Swallow spoke to Bulls News this morning about their planned game at Edgar Street. Swallow, who told BN outline details about the result of today's High Court hearing, said that he accepted the game in good faith to give the new Hereford United side a test against 'a proper step 3 football club' in order to give an insight as to how the new side would fare this season. He added that if true fans were to contact his club with genuine reasons why the game should not take place then he would consider his position. Update: Fans are asked to send these concerns to Bulls News bullsnews@btinternet.com who will then forward them on to Grays with personal information removed. Southern League rules state that any CVA agreed by a member club must see all football creditors paid in full by the end of the season. With the league running on the standardised FA rules, the terms are very similar to those in the Conference. Any club entering a CVA, or other insolvency event, would be deducted 10 points immediately and would have to pay all football creditors by the end of that season to avoid further sanction. All other creditors would also have to be paid - in full - within three years or the sanction of relegation would be imposed. The Bulls have been handed a 7 day adjournment at the High Court today. It is understood that the Court was asked for a delay with the file on the company showing a CVA proposal was on record. It is unclear who, or when, that CVA proposal was submitted. Your Thurrock has said that the friendly between Hereford United and Grays Athletic is set to go ahead despite fans calling for the game to be cancelled. WHAT was supposed to be a pre-season friendly is starting to feel quite the opposite as fans have called for the game between crisis-club Hereford United and Grays Athletic to be called off. As we reported last week, Hereford United are in free fall and crisis. Essex businessman Tommy Agombar is at the centre of negotiations regarding the future of the club. Tommy has a connection with Grays Ath as his son Harry once played. Grays chief executive, Joel Nathan has, according to reports, been to see Tommy to offer advice. Hereford fans, worried that their historic old club may disappear have been very tense and that tension has been expressed on their unofficial fans forum. Mr Nathan started discussing matters with fans on the forum. This soon descended into a war of words. Hereford fans warned Grays Athletic not to come down to the friendly, set for July 19th, as they indicated their would be protests. The war of words spilt over onto Grays fans forum. The end result seems to be many Grays fans have indicated that they will not be travelling to the game. 1. The friendly is still set to go ahead. Hereford United are back in the High Court this morning sometime after 10.30am. They face a winding-up order brought by former manager Martin Foyle which is about unpaid wages. Queensway Publishing, who have printed the club's match day programme recently, have added their claim for payment to Foyle's order. Queensway is reported to be owned by the chairman of Braintree FC. The hearing is listed as number 42 so, depending on how quickly the previous cases are dealt with, it's thought there may be news on the outcome around mid-day. Meanwhile earlier this morning BBC Hereford and Worcester noted that the club might have decided to go for a CVA. BN had reported this possibility last Friday. 'Suggestions that the club's new board is considering entering a CVA (creditors voluntary agreement) or administration before today's hearing. Former Hereford United chairman David Keyte has become a director of Stuart Blake's 'Herefordshire Recruitment Services'. Keyte's appointment was confirmed by Companies House on April 10th. Blake moved into Edgar Street last year when he vacated his former offices in Broad Street. It is not known whether Blake paid Hereford United any rent for his office at the football club. And it's understood Blake recently has moved out of Edgar Street after 'words' with new majority owner Tommy Agombar. For the record BN posted an article about Blake last November which mentioned Keyte was a partner in Blake's CV Plan company. Salisbury director Mark Winter has blasted the FA over the requirements for people to past the Owners and Directors Test, formerly the 'fit and proper' test. The FA, and the Conference haven’t helped either with a farcical fit and proper test to become a director, or a major shareholder in a football club. If you want to own a premier league club, you have to provide proof of funds and be scrutinised completely. For Football league, you have to provide passport, proof of address, driving licence, and details of all previous football and non-football directorships. For non-league, a P.O box in Dubai and an email address is all you need it seems. This will be followed up in Parliament by our own MP John Glen and the Minister for sport. Perhaps it could lead to a change for the good in the future, but it does not help this club right here and now. Winter expects the club to fail to meet the Conference deadline for payment on July 4th and for the Whites to therefore have no team for 2014/15. Former Bulls striker Sam Smith has joined Telford for the coming season. The 24 year old scored four times in 34 Conference appearances for the Bulls, including the opening in the win over Aldershot on the final day. Hereford United supporter David Whittall has sent BN some more information about 'Pre-Pack', something Tommy Agombar and his associates may have planned in advance of possible administration of the club. David makes the point that since former chairman David Keyte once said the leases were worth £1M, would any administrator sell the leases for peanuts? The administrators are duty bound to get the best return for creditors. The business must be insolvent and have no viable prospect of recovery. In short, a business is considered to be legally insolvent when the amount it owes in current and contingent debts and liabilities exceeds the combined value of its assets, and/or when the business has defaulted on a debt of more than £750 and has failed to comply with a statutory payment demand. The insolvency practitioner and company directors must be able to show that no other solutions would have been more beneficial to creditors. Company directors and insolvency practitioners are required by law to act in the best interest of the insolvent company's creditors. Therefore, a pre-pack administration cannot be used unless it results in the best outcome for creditors. The purchaser must be able to pay fair market value for the assets out of their own personal funds. This is what makes a pre-pack ethical - the proceeds from the sale of assets are distributed amongst creditors, so it is essentially the same is if an unrelated third-party purchased the assets during liquidation, except the third-party can be one or more directors of the insolvent company. As the glitz and excitement continues over in Brazil in the World Cup, 5,732 miles away in Hereford and a million miles away figuratively speaking, Hereford United’s woes go from bad to worse. Around two weeks ago we were about to go to press on here with the news that Hereford United had secured their place in the Skrill Conference Premier for next season only for the Conference board to take the decision to expel the Bulls from all Conference divisions. The decision taken by the board on the 10th June sees Hereford expelled from the Conference South as well as the Conference Premier next season and will see them line-up in the Calor Southern League Premier Division next season along with the likes of Banbury United, St Neot’s Town and Cambridge City, rather than Cambridge United who they played last season; but will they? The reason they face the prospect of the Southern League is due to the fact the Conference board basically lost patience with them. The board had extended, and extended, and extended the deadline set for the club to meet the debts of all the creditors after meeting with former chairman David Keyte and the accountant of new owner Tommy Agombar. They set a final deadline of 12th June after being assured the funds were in place to meet those debts. When it became clear the club was still not going to be able to meet the deadline the Conference board’s tolerance ran out. Quite frankly things are a mess and that’s putting it mildly. Firstly there are doubts over the new owner; Agombar is an ex-con jailed 27 years ago for his part in a series of truck thefts by a gang in his native London. He served a seven-year sentence for his part in the crimes and under the Rehabilitation of Offenders Act 1974 a custodial sentence of more than two and a half years never becomes spent. Under the Football Association’s new ‘Owners and Directors’ Test, the new name for the ‘Fit and Proper Person’s’ Test there are several grounds on which a potential owner can fail, the most important one being that anybody with an unspent conviction involving dishonesty cannot take over a club. Secondly there is the fact the debts are a lot higher than first thought. Agombar has angrily stated recently that whilst he was negotiating to buy the club he was told the debts were around £300,000 but it transpires the debts are more than four times that. Then there is the farce around the playing staff. Player wages remain unpaid and one by one the players are leaving the club with player of the season and goalkeeper Daniel Lloyd-Weston and Dom Collins both joining former boss Martin Foyle at Southport. In addition Frankie Artus has opted for Bath City, Rod McDonald has signed for AFC Telford United and, most recently, striker Dan Walker has joined Braintree Town. Lloyd-Weston and McDonald were both openly critical of the club’s handling of matters as they left with a string of broken promises. It leaves the club with just two registered players, if the club’s website is to be believed. The P.F.A. are pushing the Southern League and the F.A. to ensure the outstanding wages are paid before the club in its current state can continue. The non-payment has had a knock on effect in other areas too with Ledbury Town and Weobley F.C. both declining to play the club in pre-season friendlies; Ledbury stating ‘it would be wrong to support a club who has failed to keep its promises about paying players and staff’. The area that is causing the most concern though for the long-suffering fans. Never has a well coined phrase ever seemed so apt, is the issue over the club’s ground. Shortly after the expulsion from the Conference it transpired Agombar was due to meet with Herefordshire Council. On the agenda was not only the outstanding bill of £65,000 due for rent and rates but also the transfer of the lease on two sides of the ground to the new owner, or another of his companies to be precise. Hereford United Supporters Trust (H.U.S.T.) fear the Londoner is trying to gain the leases in order to then sell the land, something he denies. H.U.S.T. called on fans to lobby the council to reject the proposals and as a result a petition against the transfer of the leases was raised. The petition has some 7,300 signatures on it, significantly more than the 1,758 that was the average crowd at Edgar Street last season, showing the depth of feeling over the matter and was presented to the council on Thursday following a ceremonial funeral march by the fans in protest at how the club has been run. The march included a mock coffin, a fan (one of fifty) dressed as the grim reaper and a banner proclaiming ‘David Keyte You Have Murdered Our Club’ leaving those watching via the BBC Midlands cameras in no doubt how the Hereford fans feel about this. The H.U.S.T. chairman, Chris Williams, has released a statement in which he lays the blame solely at the door of Keyte. The outgoing chairman’s arrogance and attitude towards the management of the club and towards the club’s fans being blamed by Williams for the situation they find themselves in. The H.U.S.T man implores the current regime to vacate Edgar Street and give the club back to the fans, as they should’ve done originally. The trust offered the same deal as Agombar but outgoing chairman Keyte, apparently now quite poorly presumably with the stress of the situation turned them down. The offer was backed by a group of local businessmen, who believe, as does Williams, that the current club ‘Hereford United 1939 Ltd’ has no long-term future. John Hale, spokesman for the consortium, envisages a situation where Williams would take a prominent role on the board of a new club formed in the place of the current one with other trust members also on the board. There would be no single major shareholder and the club would be run by the fans with the business expertise of the investors in the background should it be needed. Whether such a new club would be accepted into the Southern League is another matter. For now the league has accepted that the current club has satisfactorily met the conditions placed upon it by the board of the league and have accepted the club into their competition for next season – as long as ‘nothing drastic happens’. One of the league’s conditions was that the club meet the Football Association’s ‘Owners and Directors’ Test, interestingly the league announced their satisfaction just a day after it was announced Agombar had stepped down as a director of the club just 13 days after being formally announced as one. The F.A. refuse to release the results of the test despite pressure from local M.P. Jesse Norman., stating it is the responsibility of the club to announce it. Where it leaves things stand regarding the ownership of the club exactly is uncertain. Companies House had Keyte listed as the sole director of the club yet Agombar has already gone on record as stating that Keyte no longer has anything to with the club whatsoever. A fact confirmed by the club on Wednesday when they announced their former chairman had left the club. The following day two new directors were announced. Leigh based (as in Leigh in Lancashire – some way from Hereford) John Edwards and Elke Thuerlings. Who these two are and what their intentions are remain a mystery. What they intend to do re the debts that remain unpaid is also currently unclear. What is clear is that the Conference board have stated that the club will not be allowed back into any of their leagues until all current creditors are satisfied. With court cases still looming with the tax man and Martin Foyle it truly is a sorry state of affairs. The only winners in this pitiful mess are Chester F.C. who have been reinstated to the Conference in the place of Hereford United along with Dartford F.C. who have taken Salisbury City’s place. Salisbury have been dumped into the Conference South after their own financial problems caused by their co-owner Otail Touzar. The knock on effect of these two changes means innocent, well run clubs have been messed around as the Conference rearranges their divisions to accommodate the demoted clubs. The worst affected is Suffolk side Lowestoft Town who were expecting to line-up in the Conference South following their promotion from the Ryman Isthmian League. As a result of other clubs’ poor financial management Lowestoft will find themselves with some very long trips next season with the prospect of trips to Barrow and Bradford Park Avenue, having been dumped into the Conference North for next season. Their ‘derby’ match next season will be with Boston United, a mere 200 mile round trip! All in all it is one very miserable mess, not helped by the Conference’s dallying over Hereford’s fate. What happens next at Edgar Street is anyone’s guess; one thing that is sure though is it’s going to be a long summer for the Bulls fans; the World Cup may be the last football they see for a while the way things are going. The following statement was released by Grays Athletic last night. There is public speculation that the Football Association (The FA) is investigating our Chief Executive Joel Nathan regarding his involvement with Hereford United Football Club. We can clarify there has thus far been no contact from The FA regarding this matter. The board is fully aware that Joel Nathan has offered advice to a fellow football club that, like Grays Athletic, has dropped from the football conference to a lower tier of English football. There is further public speculation regarding threatened demonstrations at our friendly match being played at Hereford United in July and intimidatory posts against our supporters on public forums regarding their attendance at that match. We recognise the right of individuals to protest but our club is not related in any way to the current financial situation at Hereford United and we believe our supporters should not be intimidated in any way. We have offered our supporters free travel on our team coach as a thank you gesture for the numerous times the supporters paid for our team to travel to away fixtures last season. We have spoken to Cardiff City and if they are happy to play there, we are happy to play there. Joel Nathan has made himself available in public forums to answer questions posed by concerned Hereford United fans. Mr.Nathan has since been banned by the administrators of those forums while Hereford United fans have joined Grays Athletic supporters forums to criticise Mr.Nathan. Mr. Nathan is a football fan as well as a club official and has specific experience in dealing with the situation Hereford United finds itself in and is happy to offer his advice in helping that club, and he is also available to supporters with genuine concerns and wish to ask him questions. We would politely suggest that those public forum bans be lifted so that Mr.Nathan can respond to any queries from supporters. We would also like to place on record our sympathy and empathy towards Hereford United, a football club with a fine history and tradition that now finds itself in a situation we ourselves went through just a few years ago. We wish the club and it's supporters the best of luck and a swift return to the higher levels of English football. 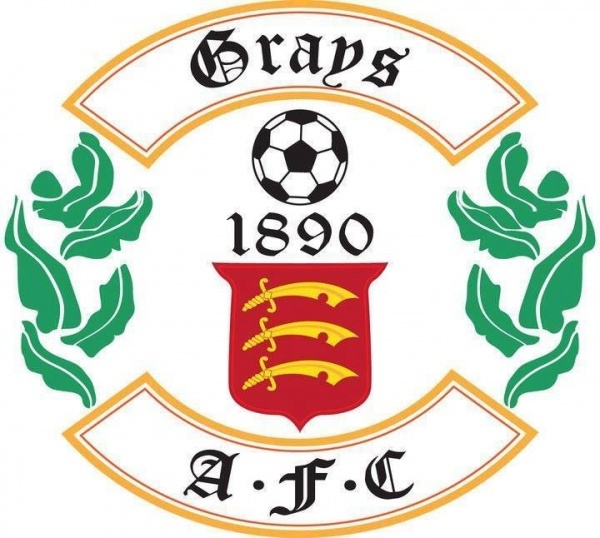 Grays Athletic have also issued a statement about the proposed friendly set to take place on July 19th. The club is committed to fulfilling this fixture which is to be played one week after league club Cardiff City visit Edgar Road for a pre-season game. The club has made seats on the team coach available to our supporters free of charge on a first come, first served basis but we fully understand if supporters do not wish to travel to this game. There has been a number of intimidatory and abusive posts in public forums regarding our supporters and club officials which we take very seriously and the relevant details have been passed to the appropriate authorities in Hereford. We have accepted this friendly in good faith and for footballing reasons as it represents an opportunity for new manager Jody Brown to give his new charges a challenging run-out just weeks before the start of the new season. The club reiterates it's desire to fulfil this fixture unless the Football Association decides otherwise. If Cardiff City visits Edgar Road as scheduled, we will fulfil our commitment to Hereford United one week later. The waste mound threatens to dwarf nearby houses. The football pitch was originally level with their gardens. The original retaining fence for the site shows just how high the mound is. In an earlier article on BN, MP Jesse Norman talked about the possibility of the owners of Hereford United using a device known as 'pre-pack'. In the UK, a pre pack administration sale is a powerful, legal way of selling the business on to a trade buyer or a third party. Or to the existing directors operating under a new company (or "newco") if the business is facing serious problems and creditor threats. If a winding up petition is threatened, this can be a powerful solution. Don't wait until a winding up petition is issued through, because pre-pack is not permitted after it has been issued. The main advantage of prepack administration is the continuity of the "business". When the plan is ready and a contract of purchase is drawn up, the company is quickly protected by the Court - allowing the administrator to sell the "business and assets". This gets rid of debts, unwanted or onerous contracts, and possibly some employees (although in most circumstances there could be TUPE issues that need to be addressed) and there can be no interruption to the business, which in itself can destroy value. Another big advantage is that the cost of the process is lower than trading administration, as the administrators do not need to find funding to trade the business. The process, including the preliminary marketing, professional valuation work and discussions with creditors, can be very quick and done in a few days if necessary. BN caught up with Hereford MP Jesse Norman earlier this evening just before the news of a likely CVA for Hereford United. "I not sure I would expect one but if I do I'll see if I can make it public." BN - Should Herefordshire Council be making more effort to get payment of the £65K the club owes? "I certainly think they should be pressing for the money because that is council tax payers money and if you look at the situation with grass cutting etc that's money that could be put to good use elsewhere in the country. "We've seen promises to pay creditors before from Mr Agombar so it's not clear that has any real credibility. "Instead of persuing him directly, they could attach that debt to some of the proceedings that are already going to be in front of the court next week." BN - Do you believe the Council have the leases for the ground tightly drawn? "I haven't read the leases but my impression is the Council has done an initial legal review of the leases and therefore has at least a preliminary understanding of its powers under the leases. "What the leases say is very important and also what could be plausibly asserted in a court of law to defend them." BN - If the club goes into administration and/or liquidation do the leases return to the Council or is that only in liquidation? "I don't know and that's a very important question. If the club goes into liquidation then one would expect the leases to revert to the Council. "Administration is a work in progress in which a company tries to reach an accommodation with its creditors. I would be surprised if the leases change at that point. It all depends what is written in the contract. "Administration is important for other reasons as it does potentially allow a more formal process by which other bidders, parties of interest, can seek to look at the basis of changing ownership"
BN - Could that involve a CVA? "I think it could involve a CVA." BN then asked about the current directors of Hereford United. For a spell this week it was thought there were no directors then a couple appeared out of the woodwork. "My team noticed the club had two new directors having not had any - it's not absolutely clear that there was a point when they didn't have any. We need to clarify that with Companies House. "What is clear is that Mr Agombar took himself off the directors register for the process of acceptance into the Southern League and has now put himself back on. "That itself is not a great cause for hope." "It's absolutely terrible and the idea that she would now become, or be treated as, one of the unsecured creditors of the club and therefore potentially may not receive that amount, or not the full amount, is a cause of enomous embarrassment to the club and to the owners. "The whole situation is a desperate one and she seems to have been one of the biggest victims." BN - With the threat of administration or liquidation what is worrying supporters is whether Tommy Agombar and Co could 'buy' the club from the administrators and buy it without so much debt in it. "If anyone has got the best interests of the club and football in Herefordshire at heart there is a phenomenon called a 'pre-pack' whereby a club goes into administration and use that process to pay their creditors at very low levels or not at all. "And then the assets of the club are bought out of adminstation by a bidder and if that's in a 'pre-pack' that may be bidder who was responsible in the first place and the effect of that is they end up with pretty much what they had before but without the having to pay the debt on it. "That's a huge worry and I share that worry and I'm sure every other fan of Hereford United does as well. "I'm not a legal expert but administration is a semi-formal process, there are rules associated with it and presumably it would be possible for other interested parties to come to the administrators and say look you could get a better deal for your creditors if you accepted our offer rather than let the club run as it presently is funded by the owners in the way they are funding it. "I think the Supporters Trust backed by Jon Hale's business group could come in, may be other interested parties as well at that point. "The key thing at this point is to make sure there is no 'pre-pack', that there is enough time for everyone to put alternative bids together if they can, those bids are as strong as they possibly can be, as long term, as well funded, as well supported as they possibly can be and the group (HUST and Hale) would be a very serious potential bidder." BN - Do you think it is right that former director Nick Nenadich, who sold his shareholding (along with that of David Keyte) to Tommy Agombar and caused no end of problems for yourself, Hereford Council and Hereford United supporters should continue as a Hereford Tory Councillor. "It hasn't caused me any political concern at all because I think people understand the Council is different to the MP. "Anyone can make a mistake which I think Nick has acknowledged regardless of their political affiliations. "I think there is an election next year and I think it's up to Nick to take a long view of the situation. He's been a very good councillor in many respects. "It's a decision for him." Bulls News understands that Hereford United are set to enter the process to agree a CVA with creditors. The move will come ahead of Monday's court date with Martin Foyle, stopping that court action in it's tracks. Former Bulls loanee Ross Dyer has joined Halifax for the coming season. The 26 year old netted three times in five games for the Bulls in a loan spell from Mansfield, but was released by the Stags earlier in the summer. In other news, Bristol Rovers have told fans at their Supporters Club EGM that the club needs average gates of 9,500 to break even. They had just 6,420 average last season - the third highest in League Two. Chairman Nick Higgs told the meeting that the board had propped the club up to the tune of £10million since he joined the board eight years ago. HUST have passed the 700 member total. In the month of June alone HUST have welcomed 118 new members as concern grows for our football club, taking the total membership number to 719. New members have been signed up across the country and the whole world, with a dozen countries now having HUST members residing in them. We signed up our youngest member, Chairman Chris Williams’ first grandchild, this month and also several former Bulls players including Steve Guinan, Luke Graham, Rob Purdie, and our latest player recruit Alex Jeannin. The HUST Board would like to thank every one of our members for their support. I wanted to update you about the latest situation regarding Hereford United (1939) Ltd, which trades as Hereford United Football Club. As you know, I have written to you on a number of occasions, most recently in January 2014, to ask for forbearance in respect of the club’s overdue tax bills. These letters were sent in the context of a huge amount of local fundraising and the potential sale of the club to well-capitalised new owners. The club has indeed changed ownership since January 2014 but to a different buyer, Mr Tommy Agombar. Unfortunately, I am not persuaded that Mr Agombar is able to meet the club’s financial obligations as they fall due. He has already allowed the club to be expelled from the Conference League due to non-payment of football debts and failure to post the required bond. Numerous other creditors remain unpaid, in addition to HMRC. As for cash flow, most of the fundraising efforts that had kept the club afloat in recent months have now dried up, while other local clubs have refused to play friendly games with Hereford. In this context there is no proper justification for a policy of forbearance towards the club’s tax debts. I would encourage HMRC to do everything that you feel is necessary to secure what is owed to the Exchequer. The ongoing saga at Swindon has seen a judge suggest that Jed McCrory was lying under oath. The revelation came during the second day of a trial to determine who owns the League One side, with McCrory and current Robins chairman Lee Power arguing over who had control of the side. Judge Strauss said: “I frankly don’t believe Mr McCrory’s evidence" when referring to emails sent between the pair over a 3 year extension to an unspecified agreement. McCrory claimed the extension only referred to Power's then position as Director of Football rather than an option to take control of the shares held by McCrory. McCrory has several links to the current regime at Edgar Street. He met with Herefordshire Council back in March, a point he acknowledged to BN at the time, and the Robins signed Harry Agombar to a two year playing deal while McCrory was Chairman - with Swindon fans claiming Tommy Agombar was among McCrory's entourage until his departure in December. McCrory had previously been at Banbury, where he employed current Bulls coaches Paul Davis and Jon Taylor. Tommy Agombar has been reappointed as a Director of Hereford United. Agombar, whose previous stint was apparently halted due to the Southern League's need for all Directors to have passed the FA's "fit and proper" test at the AGM. It is unclear whether Agombar has now passed the test. Former Bulls forward Dan Walker has signed for Braintree Town for the coming season. The former Luton man had a loan spell with the Iron before his move to Edgar Street. Also on the move is former loanee Damon Lathrope. The midfielder is set to leave Torquay in favour of Aldershot after four seasons with the Gulls. One of the Hereford United supporters on today's march to the Council HQ was ex-employee Leigh Renton. She is owed £1200 in maternity pay, govenment money that the club hasn't passed on to her. Later she spoke to BBC Midlands. "It effects my children, it effects my whole family because they are having to help me pay bills. After being presented with a petition, Herefordshire Council leader Tony Johnson spoke to supporters outside the Council HQ. "You are asking us to reject calls to transfer the leases,"said Johnson. "We've had an e-mail from the owners of the club. "Herefordshire Council has received the following from the new owner of Hereford United football club. "This is a quote - 'We wish to leave all leases for the club in the name of Hereford United Football Club 1939 Limited. "The council has accepted this information in good faith. "I can't vouch for the accuracy of any of this. That's come to us in the last 48 hours, we've heard nothing since, other than a couple of curious telephone calls. "As a Council we support the efforts of you and your colleagues, we like you want to see football remain in the city. "We are the Landlords, we have no control over the club, we are not shareholders, we don't the club itself. "We simply own the site on which the club sits. "None the less, as a Council we share your ambitions. From a personal point of view I share your ambitions. "I've had many conversations with one of your supporters here, Cllr Kenyon. "We will do what we can." Cllr Kenyon then asked Cllr Johnson if he could confirm whether the council have been paid the £65K owed by the football club. "To my knowledge it's not been paid yet. "We've been told they will pay (supporters laughter in background)." Kenyon then asked if the date they were going to pay had passed are the council now going to take legal action against the club to recover the money for the taxpayer. "The correspondance that I have didn't give a date by which it would be paid," continued Johnson. "The correspondance said it was their intention to settle the outstanding debts to the Council and that there was an outstanding bond with an amount left in it and a question from them, could that bond be drawn down to offset at least part of the outstanding debt to the Council. "No actual date came with the correspondance that we have received. "As of the morning I do not believe that the debt has been paid, I do know legal people were looking at their request with regards to the bond. "We share your concerns about the football club. There's nothing we would like better than football to remain where it is. "I have to say it's a great pity the football club has got itself in this position. There is huge support from so many people. "Where there is room for judgement we come down on the same side as you." "I believe your view is shared by many if not all of your supporters. "Our legal team are looking to see what our options are and what we can do. "We will do whatever we can and that's a promise." One of the Hereford United supporters on today's funeral march was John Hancock from Woolhope. Pictured on the left, John has been supporting the club for 66 years. BN asked him why he was on the march. "I've come here just to try and emphasize the fact that, as far as I'm concerned, the Council should not even be talking, much less discussing, about leases with this regime that has come in to take 57% of the shares. "They should not talk to them until all creditors have been paid in full. "Delaying tactics that's all it is. None of us really know the outcome. "I think this march will get the message across to the Council. "We've lobbied the Council. Most, if not all of them, are aware of what the situation is, this will just re-emphasize it today. "The debt to the Council is £67k and my honest feeling is that they are never going to get any money out of the regime anyway. "So if we go into liquidation, or whatever, they can not lose. "There's only one way it can go now, the club as we've known it has basically gone. No way can it come back, no one is going to put that money out. "As supporters now we have to go in and take it over from the beginning, run it as it should be run. "Anything is better than what we've got at the moment. "It's like losing a member of the family." A selection of pictures from earlier today taken at the HQ of Herefordshire Council where Hereford United supporters presented a petition containing over 7000 signatures to the leader of the Council. The petition was set up to put pressure on the Council not to assign the Edgar Street leases to anyone who hasn't got the best interests of Hereford United at heart. A further selection of pictures from today's Hereford United funeral march from Edgar Street to the Herefordshire Council HQ. Robert James Purdie is one of the newest members of the Hereford United Supporters Trust after signing up this morning. Rob has become the 583rd adult member of the Hereford United Supporters Trust with the total membership now standing at 710 members (including Juniors). On joining the Trust Purdie stated; “with the state of the club in such decline, joining HUST is a way I can maybe help out. I would like to have been doing it on the pitch and getting Hereford back on track but as that won’t be the case now my support might be able to substitute that. The 31 year old has made a total of 234 Appearances and scored 26 goals in 3 permanent spells & a loan spell with the Bulls spanning from his debut in 2002 up until the season just gone, having also represented Leicester, Darlington, Oldham & our friends up the A49 Shrewsbury. He joins fellow team-mates Steve Guinan, Matt Clarke, Ben Smith, Alex Jeannin, Luke Graham & Max Kontic-Coveney alongside Gareth Davies, Stuart Phillips, Ricky George, Rob Elmes & Ian Rodgerson. Perhaps he’d like to play rush goalie for our supporters team to ensure he has played every position in a Hereford United Shirt. A few pictures from today's funeral march by Hereford United supporters. Around 50 of them gathered at Edgar Street this morning and carried a coffin from there through the centre of Hereford to the Council Offices. A document available from Companies House lists the two new Directors as Mr John Harold Edwards and Ms Elke Thuerlings. Edwards is named as a 61 year old from Leigh, Lancashire. Thuerlings is a 51 year old German national residing at the same Leigh address. Companies House has told more than one fan that two new Director appointments have been received by them today. It is currently unknown who these Directors are, or who signed off on their appointments. Since Tommy Agombar resigned on June 17th, only David Keyte would have had the authority to appoint new Directors until his resignation. Herefordshire Council has received the following from the new owner of Hereford United Football Club. "We wish to leave all leases for the club in the name of Hereford United Football Club (1939) Limited. We have paid all football creditors and have been accepted into the Premier Division of the Southern Football League." The council has accepted this information in good faith. Council leader Tony Johnson told fans the message had been received 'in the last 48 hours' and, in response to a question from Councillor Jim Kenyon, said the Council had not been paid their £65,000 despite assurances they would be paid. The claims that football creditors have been paid were instantly dismissed by the assembled fans, with two former members of staff taking part in the march confirming they were still awaiting payment. Rob Purdie also confirmed that the players had not been paid.